Social media has gained the attention of the business world as the latest marketing gadget. Social media sites have proven themselves to be effective in gathering key demographic information and defining target groups. As the Twitters, Facebooks and YouTubes of the world continue to evolve, businesses have kept a skeptical eye on sites that offer them little control of the comments posted by random users that may have little to do with their customer base. That has become a customer service nightmare. To that point, LinkedIn has started to gain some traction as a business only social networking site. 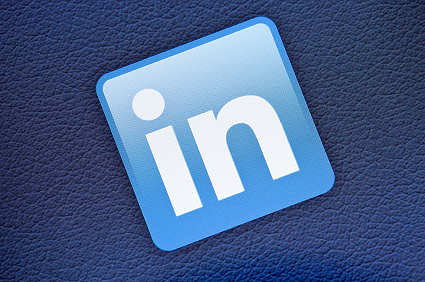 LinkedIn cut its teeth as an online clearinghouse for job seekers to network with employers. As social networking advances, LinkedIn has broadened its perspective to be a premiere business connection site. It is a rolodex of who you know in business and who your network knows. LinkedIn has been one of those social networking sites that we commonly get questions about. Is it worth it to have a profile on such a site? What about putting our company on the site? How do we get people to follow our Company Page and is there any marketing value to it? Yes, there is marketing value to a business networking site, because networking is how business moves forward in 2012. It is a key pathway to new customers. Here are a few tips to get yourself set up on LinkedIn and some tips on how to make it an effective marketing tool for you to garner interest in your business and to find potential clients. When you create a profile with any social networking site, you are giving the managers of the site fundamental demographic information about yourself. On LinkedIn, you are listing background information that mirrors a resume. Where do you work and where have you worked? What positions did you hold with those companies? Where did you go to school? This basic information is added to a database and is used to suggest people you may know from the same companies, similar industries, or those who went to your school. These are basic connections. On your profile, you can link your web site, blog posts, tweets, etc. You can ask people to write a recommendation of your work. This is another layer of the LinkedIn profile. It is not mandatory, but it is important if you want to make a connection with people that goes beyond just collecting a list of names. This is where people can get a better understanding of what your business does and your level of expertise within that company. From there, you can search out key people with whom you are doing business and connect with them. LinkedIn is an opt-in social networking site. You have to send a request. Until the person responds that they want to connect with you, they will not show up in your connections. LinkedIn allows a company to create their own profile, and for LinkedIn members to follow those companies. A company page shows basic demographic information about the company’s size, industry, lists employees associated with that company, and gives you a breakdown of the positions they hold. So if you needed to find out who is in charge of the IT department, you should be able to find them or someone who knows how to connect you to that person on their list of employees. But beyond this, if you are following a company that regularly uses LinkedIn as a source for company news, you are gaining an insider’s view of companies you are pursuing. Information that is shared on the company’s page is fed to the followers. This can be a strategic advantage to you. This is where networking and marketing begin to merge. If you know that Company A is getting a new purchasing director, it is time to get your marketing materials and a sales rep in front of the new person. If you know that Corporation B is making plans to expand their operations and you are a temporary agency, it is time to get the list of your placement services in front of the hiring manager. Timing is key to good marketing. LinkedIn can enhance your efforts in this area. On the flip side, you should be following your current customers’ pages. At a quick glance, you can stay up on the latest information feed out of their offices. You will be alerted to new hires and people departing the company. Relationships still matter in sales and marketing. LinkedIn helps keep you in touch with the people. Group pages are relatively new on LinkedIn, but this is where the most frequent action takes place on the site. You can join groups that are based on a common interest. Many are specific to a trade or an industry. For instance, if you are in the logistics business, there are groups for truckers and shippers, warehouse managers, forklift professionals, etc. The groups allow you to ask questions, start or enter into discussions with other group members, promote events, etc. The more you interact, the more information you will receive. Some groups are open to anyone who wants to join. Others are set up to be closed groups and you would need the approval of the group’s administrator to join. You can tell how active a group is and the positions held by members by looking at the Group Profile and the Group Statistics. This will tell you if you are interacting with people within your target for gaining new clients. The groups are where the most solid connections are happening on LinkedIn. I would suggest you take a look at the groups that have formed within your area of business expertise. One warning I will give you: many of the groups are quite active. Be prepared for frequent reports of activity within the groups. This comes to you via email. If you find that a group is too much for you, you can opt out later. In the months ahead, LinkedIn will continue to change, with more bells and whistles. However, at its core is a way for business-to-business connections to happen quickly and cleanly, without a lot of the garbage that is a part of other social networking sites. My recommendation: join LinkedIn if you haven’t already.